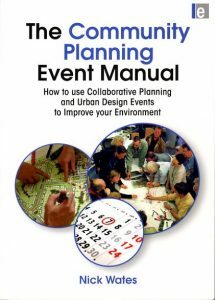 The Community Planning Event Manual: How to use Collaborative Planning and Urban Design Events to Improve your Environment…. How to use Collaborative Planning and Urban Design Events to Improve your Environment. Explains how and why to organise community planning events in any context from small neighbourhood improvements to major infrastructure and construction projects anywhere in the world. Includes a step-by-step guide, detailed checklists and other tools for event organisers. If you want a paperback or hardback version, please order from Routledge.